getcalc.com's Ideal Gas Law Calculator is an online chemical engineering tool to calculate the pressure & volume to estimate the behavior of many gases under different conditions, in both US customary & metric (SI) units. 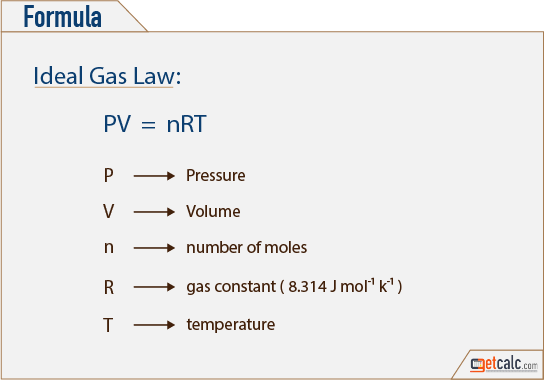 Ideal Gas Law represents the relationship between pressure, volume & obsolute temperature. It's generally used to estimate the behavior of many gases under different conditions.